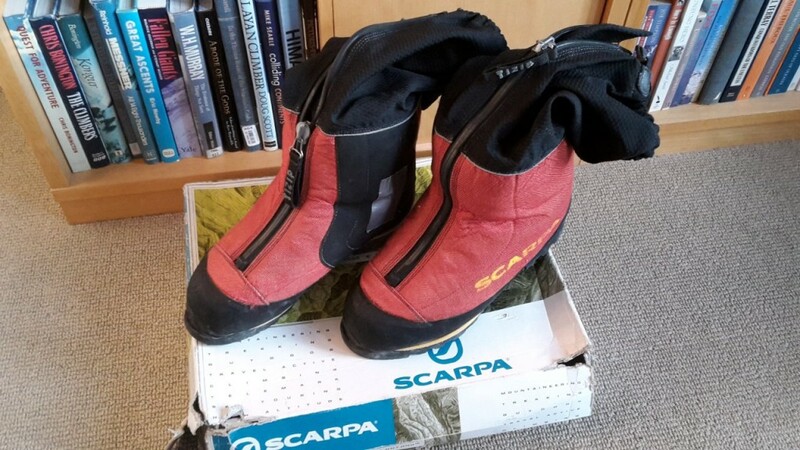 I am in the process of clearing my flat of stuff I no longer have a use for, and one of the things I’m looking to dispose of are a pair of Scarpa Phantom 8000 mountaineering boots that I have not worn since I upgraded to La Sportiva Olympus Mons for my Everest expedition in 2012. 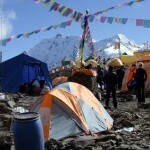 The boots have been to the summits of Manaslu (8163m), Aconcagua (6959m), Mera Peak (6476m) and Island Peak (6189m). 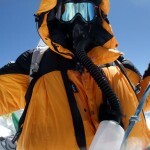 I have also worn them above 6000m on Cho Oyu, Gasherbrum I, Gasherbrum II and Baruntse. They originally cost me £550 GBP in 2009 and the current version of the boot retails at around £500 GBP or $720 USD. Earlier versions of the boot like mine are going on eBay for around £200 GBP or $300 USD. The boots are men’s size 45 EU / 10¼ UK / 11¼ US. My preference with high-altitude boots is to buy a size or so larger than my foot size so that I can wear two pairs of socks, so you may find these boots suitable if you have slightly smaller feet. They are triple-lined with inner and outer boot, and built-in gaiter. They are designed for 8000m peaks, though there are better choices of boot for 8000ers. 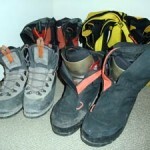 These are good warm boots for 6000m or 7000m peaks in the Himalayas, or Andes 6000ers, including Aconcagua. There is a spot of duct tape covering a tiny nick I made on a gaiter with my crampons, but otherwise they are in good condition. If the boots are not for you but you know someone who’s looking for a pair then please share this post. How can I win them? To be entered in the draw to win the boots all you have to do is sign up to my mailing list and include your name and address. I will send them anywhere in the world, but if you live outside the European Union then you may have to pay duty, depending on the rules in your country. 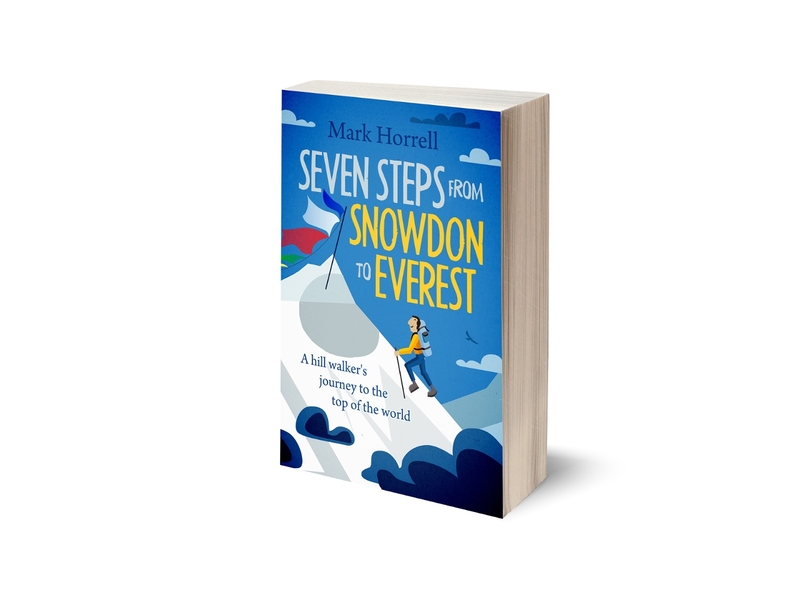 By signing up to my mailing list you will receive my weekly blog post about mountains and occasional news about new book releases. I will never spam you or pass on your details to anyone else, and you can unsubscribe any time. If you are already on my mailing list then you will still need to sign up for the competition and will not be entered automatically (not everyone wants a pair of boots arriving in the mail). The closing date for this competition is 8am UK time, this Friday, 18 March 2016, so if you would like to win then sign up now! Everybody who enters the competition or signs up to my mailing list will receive a free copy of my ebook In the Footsteps of Whymper. 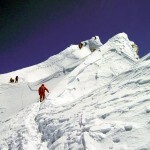 Furthermore, to say goodbye to the boots I will be giving away a copy of my ebook The Ascent of Manaslu to everybody who is on my mailing list by the end of March 2016. Love your books!! Keep going!! Mera was their first outing and I laced them up awkwardly. I subsequently wore them on many expeditions without a problem.